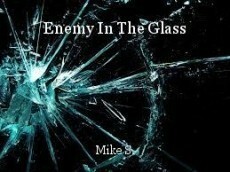 Enemy In The Glass, poem by Mike S.
Destructive, the enemy in the glass. This is one powerful write, Mike. Expertly written. Intense, Mike. Like coming out of my brain. Excellent job! Keep fighting. And sometimes you’re the worst enemy you’ve ever faced! Well written and painfully relatable! Thank you much, Prism Persona! These are powerful lines, Mike! This page was created in 0.3248 seconds.